The GOODBYE CHRISTOPHER ROBIN film premiere after party happened this week at the Gottesman Hall at The New York Public Library and it was amazing. Note: I was invited as media to the movie screening and premiere after party. This post was written in partnership with the Role Mommy Writer's Network. However any personal views expressed are always 100% my own. 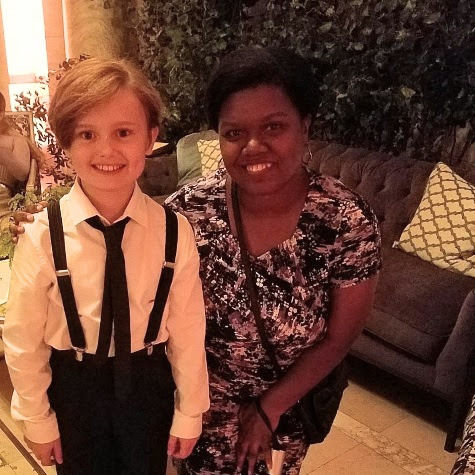 Since I'm covering the film, I was excited to attend an advanced screening to interviewed the director, Simon Curtis, then attend the premiere after party and meet the cast! 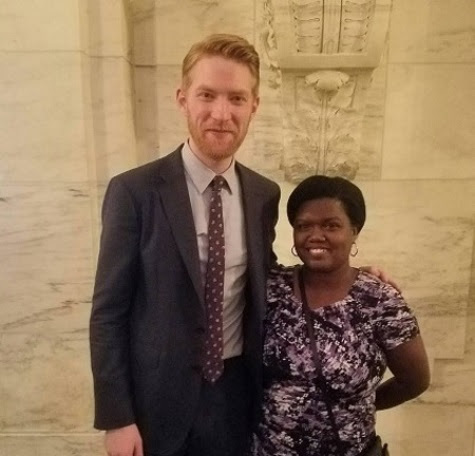 I first met Domhnall Gleeson, who plays children's author A. A. Milne and father of Christopher Robin in the film. He was super nice! Then I tried to meet Margot Robbie, who plays the wife and mother of Christopher Robin. But as you can guess she was very popular. So I settled for just taking a photo. It was still nice to see her in real life. Then I met Will Tilston, who plays Christopher Robin. OMGosh he's SO sweet! And just as adorable in real life as he is in the film. The dimples! 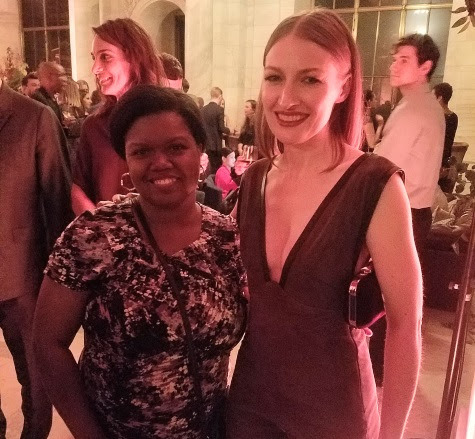 Lastly I met Kelly Macdonald, who plays "Nanny" to Christopher Robin. She was also really sweet. 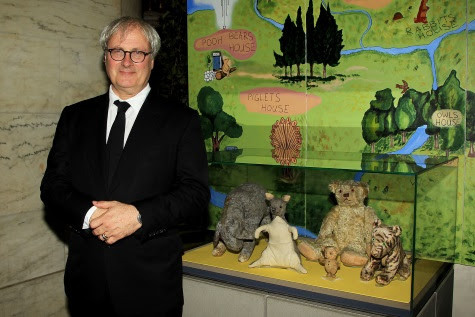 Simon Curtis, the director of GOODBYE CHRISTOPHER ROBIN, was also at the premiere. I thought about asking him for a photo but since I had already met him for the interview, I thought I should just let him enjoy the party. LOL. Speaking of the interview, here are a few things I learned. After screening the movie, I wanted to ask the director, what is his favorite scene? SIMON CURTIS: “I love the sequence when father and son play together in the summer. Those images of childhood that we are lucky we have. And you can see him almost falling in love with the idea of being a father and I think that is the heart of the film. Ironically, my son, who I took to the screening, also had a question to ask. My son asked: Why doesn’t Billy like being called Christopher Robin? SIMON CURTIS: “It’s quite a complicated idea, but in the family they think the character in the book is Christopher Robin, and their boy at home is called Billy. So they were able to make the distinction between those two. But the world didn’t see it like that. They just assumed they were one and the same. That was part of the problem. The books became famous and he got all the attention that he didn’t want. What made you decide to film this? 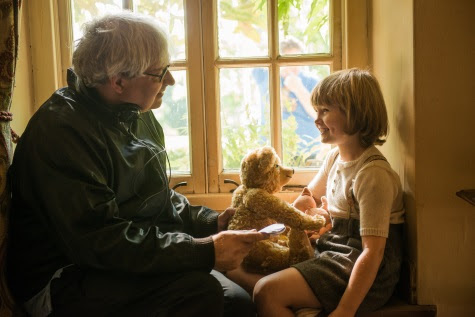 What was filming like at the original place where A.A. Milne lived with his family? Were there parts of the movie that were added to bring more interest? And what an amazing true story GOODBYE CHRISTOPHER ROBIN turns out to be. There's so much about the film that will both surprise and delight you about the family that brought us the world of "Winnie the Pooh". I'll be sure to share my full review in another post. 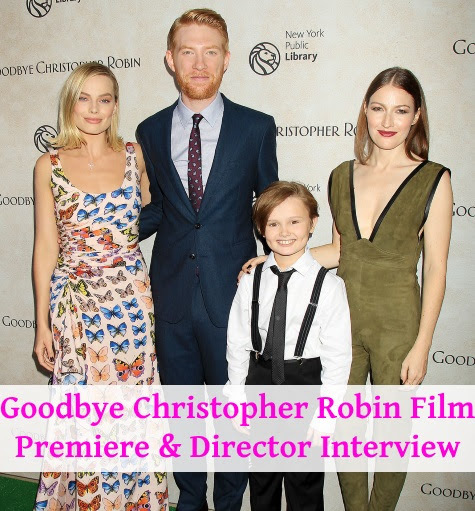 But I encourage you to plan to see GOODBYE CHRISTOPHER ROBIN when it opens in select theaters on October 13. 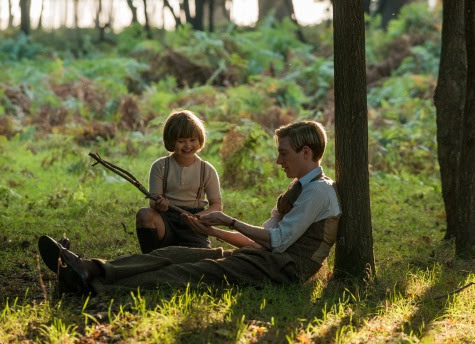 GOODBYE CHRISTOPHER ROBIN gives a rare glimpse into the relationship between beloved children's author A. 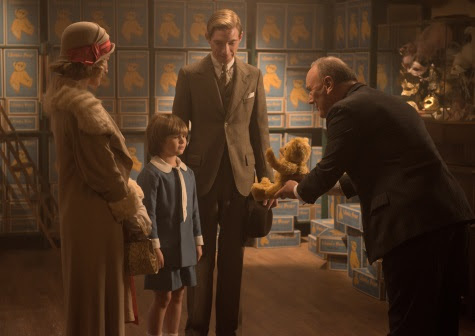 A. Milne (Domhnall Gleeson) and his son Christopher Robin (Will Tilston), whose toys inspired the magical world of Winnie-the-Pooh. Along with his mother Daphne (Margot Robbie), and his nanny Olive (Kelly Macdonald), Christopher Robin and his family are swept up in the international success of the books; the enchanting tales bringing hope and comfort to England after the First World War. But with the eyes of the world on Christopher Robin, what will the cost be to the family? What a wonderful opportunity! Loved the interviews! Fun photos from the premiere!